In terms of popularity and recognition in the UK, the 1980s were golden years for Romanian wine. Back then, Romania was a source of bargain-priced wines, particularly Pinot Noir and Cabernet Sauvignon, that found many fans at their modest prices. But in a country with a turbulent history and which is still finding its feet as one of the newest democracies in the European Union, the path for Romanian wine production has not run smoothly. Unlike the relatively peaceful fall of communism in many former Soviet states, the Romanian Revolution of 1989 was a bloody affair. Many hundreds died, including the country’s overthrown dictator Ceausçescu. The years that followed saw Romania in a downward economic spiral, with confidence in the post-revolutionary government lacking and years of under-investment impacting on all areas, including the wine industry. Another huge problem was caused by the painful but necessary process of restoring vineyard land that had been ‘nationalised’ under the Ceausçescu regime to its rightful owners. The collective farms and wineries had to be dismantled, and 180,000 hectares of vineyard land handed back to its former owners. Unfortunately many were almost untraceable, having died or fled Romania to new lives scattered around the globe. This resulted in a patchwork of tiny plots of land, many of which lay semi-abandoned in ownership limbo, and an almost total melt-down of wine as a viable export industry through the 1990s. I flew into Romania one bright, hot day in summer 2009 and within minutes was being whisked from the airport to the centre of Bucharest. 20 years on from the revolution, and at last Romania shows real signs of stability and some progress in terms of its economy. Since 2007 Romania has been a full member of the EU, and as one of its poorest states, receives untold billions in grants. Certainly, the smart hotels and shopping malls of Bucharest suggest the country has turned a corner. Despite a need for ongoing economic reforms, and with a massive amount of work still needed on the country’s crumbling infrastructure, wine too has entered a new phase with many of the anomalies of ownership being resolved and with substantial investment from both within and outside the country. Romania occupies part of the lower basin of the Danube River, with the Carpathian Mountains to the north and the Black Sea to the east. It is ringed on three sides by Moldova, The Ukraine, Hungary, Serbia and Bulgaria. Romania’s climate is continental, with a long and often severe winter, and warm, dry summers. Vineyard regions are scattered all over the country, with the bulk in the southern third. Murfatlar on the Black Sea is a quality area with conditions for Botrytis-affected sweet wines, and Tarnave in Transylvania is famed for its whites. I would visit three regions, covering around 700 kilometres. My journey started in Dealu Mare, a large and important region not far from Bucharest with a reputation for red wines, before travelling down to the town of Segarcae on the Danube, which also marks the border with Bulgaria. Finally, I’d travel on into Transylvania near Romania’s western border, and the Recas wine region, close to the major city of Timisoara. The indigenous grapes of Romania are only now staging a come-back as quality varietals. Phylloxera struck a hard blow in the late 19th century, and hardier varietals – including hybrids and non Vitis vinifera vines from America – were quite widely planted. So too were international grapes like Cabernet Sauvignon, Merlot and Pinot Noir, and aromatic white varieties like Sauvignon Blanc and Gewürztraminer. The drive to ramp up production during the Communist era and its aftermath did little to emphasise quality, but today, the non-Vitis vinifera plantings are being replaced very rapidly as new investment kicks in, and the spotlight has fallen on indigenous varieties like the red Feteasca Neagra and white Tamaioasa Romaneasca as being both distinctively Romanian, and capable of high quality. Moving on from the beautiful city of Bucharest, with its fine mix of Neo-classical and Art Deco architecture, and soon the Ferrari dealerships and air-conditioned shopping malls of the capitalist capital give way to a quiet, peaceful and distinctly rural landscape. That Romania is a green and pleasant land is apparent, with much of its energy coming from clean sources, and the byways along the Danube as pretty as any in the Mosel or Rhine. But soon the deficiencies in infrastructure take their toll, with crumbling, pot-holed roads carrying as many donkeys pulling carts, as motor cars. Almost as prevalent as the donkeys, however, are cranes and diggers, and large blue and white signs indicating the EU money is being spent on reconstruction. Clearly, Romania – with much needed help – is addressing its problems. Those blue and white signs adorn most of the vineyards too, showing how funding is being used to replace poor quality planting material with the varieties and quality clones that will improve Romanian wine significantly, and allow it to compete more easily on a global stage. The very act of travelling around rural of Romania confirms that there is still much to do in terms of its basic infrastructure. But the conditions here for growing top quality grapes, and the obvious signs of ambition and resolution by its winemakers in the face of adversity, left me feeling quietly heartened by the possibilities for this fascinating country. 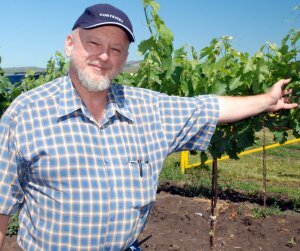 The name of Merseysider John Halewood is part of the fabric of the modern day Romanian wine industry. Having worked in the English wine trade for several years, Halewood decided in 1978 to set up his eponymous company to import and distribute wines in the north of England. 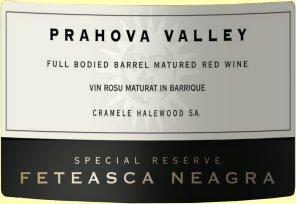 Halewood saw opportunities in Eastern Europe and began importing Bulgarian wines, before taking a punt on Romania as well. All those bottles we enjoyed in the 1980s came via Halewood. But it was in 1990, after the fall of communism, that Halewood’s Romanian connection took a sizeable leap forward. Halewood now farms 300 hectares. Vineyards in Transylvania are mainly for white varieties and Pinot Noir. In Murfatlar, there are a further 70 hectares of everything from Sangiovese to Semillon, as well as a certified organic Chardonnay. There are extensive plantings in Dealu Mare, of Pinot Noir, Cabernet Sauvignon, Merlot, Syrah and Feteasca Neagra, plus some Chardonnay and Viognier. I was shown around the Dealu Mare site by viticulturalist Val Resteman (right, with young Merlot vines) who greeted me with an unexpected “G’day,” delivered with a pronounced Aussie twang: Val spent many years working in Coonawarra for Katnook Estate and in the Barrossa for Wolf Blass. Since 2000 Halewood’s own vineyards have been in production and now supply over 40% of the fruit needed. I visited the Scurta vineyard with Val Resteman, which will be the source of fruit for a new range of single vineyard wines. Val says he is farming “green and clean,” with cover crops and very mild herbicides and pesticides that are environmentally friendly. Density of planting here is around 2800 plants per hectare, and the vineyard is fully mechanised for pruning and picking. Val explains that the rich soil has led him to train the vines to grow on one high wire, as this helps reduce vigour by lowering growth of shoots and unwanted secondary shoots. He sees a bright future for Feteasca Neagra, but points out that there are still only 1000 hectares in all of Romania. “It may sneak in by the back door as part of a blend to begin with,” he says, acknowledging that the variety will be a hard sell in export markets. There are some good wines in this portfolio, and the company is one with some great people and obvious drive and ambition. Once new plantings come on stream that can only improve further. However I did have a big question mark over many of these wines for their level of residual sugar, with many of the reds verging on the sickly sweet for my personal taste. For the UK market, some adjustment might be required. The impressive – and large – estate of Domeniul Coroanei is formed from the Royal Estate, where the first King of Romania, Carol I, became tenant in 1884. Between 1906 and 1908 wine cellars were constructed, all operating by gravity flow, modeled by French architects. I suspect new owners, the Anghel family, found little that was up to royal standards when they took over the estate in 2004, as evidence of massive reconstruction of both vineyards and cellars is everywhere. 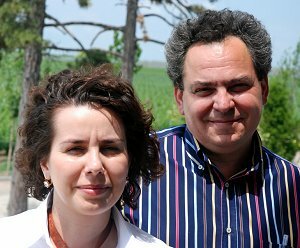 The Anghels (right) are successful business people whose move into wine has largely been driven by Cornelia Anghel, who graduated in medicine and worked as a cardiologist until 2005. Conrelia has a genuine passion for wine, and spent two years studying and travelling extensively to learn about wine making. Today, she is in charge of wine-making whilst her husband Mihail looks after their other business affairs: the Anghel’s are Romania’s fourth largest producer of cereals, farming 150,000 tons and distributing and exporting 400,000 tons. The 270 hectares of vineyard are almost all newly planted since 2005, apart from some old Muscat de Frontignan. They have re-planted at higher densities of 6,000 plants per hectare, and harvest at much lower yields than many estates. The winery is absolutely state of the art, with auto pigeage, temperature control and masses of new French oak wherever you look. A consultant from the Languedoc works closely with Madame Anghel. 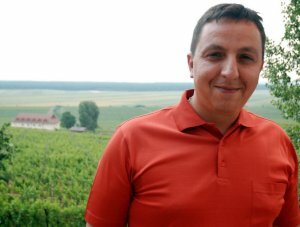 Domeniul Coroanei’s wines are aimed at the high end of the Romanian market. I have to say the quality already shines through as some of the best I tasted on this visit. There are some terrific wines here, though as Conrelia says “We plan a more premium range, based on blends and not single varietals, but only once we have understood all of our terroirs and vine to soil matching, and once the vines are really mature.” Everything is hand-harvested for now, but they plan to buy harvesting machines so that grapes can be gathered more quickly at optimum ripeness. Conrelia says the chemistry she learned at medical school helped her a lot with the basics of wine-making, but it is clear that it is a personal passion that drove her from cardiologist to wine-maker: “And to find a more charming life,” as she puts it. “And I recommend wine completely for the heart, especially the reds.” she adds. Not far from Domeniul Coroanei, are the vineyards and winery of Vinarte at Vanju Mare on the Danube terraces. In fact, this is only one of three large sites owned by the Vinarte group, with others in Dealu Mare and Samburesti. In total Vinarte has over 450 hectares of vineyard, ammassed by buying and planting, and all acheived since the company was formed in 1998. This Italian-French-Romanian company was founded by three partners from Milan, Friuli and Paris, and today a consultant oenologist from Tuscany assists winemaker Justin Uruco (right, in front of the sloping vineyard terrace), who studied in Romania, but has also worked in Italy, France and Germany. When the estate was purchased in 1998 it included 34 hectares of table grapes. Vinarte has replanted that, and extended the vineyards to 180 hectares. This area was first planted in the 1960s under the communist system, and the reddish, alluvial soils are rich in calcium and iron. Justin explains that the vineyards they took over were in poor condition, indeed they had been more or less abandoned after the fall of communism. Again, it was a great struggle to find the owners of each plot and amass the 180 hectares they have now. There has also been a 12 million euro investement in new winery technology. The proximity of the vineyards to the Danube keeps the area cool, and there is some good Botrytis for sweet wines. But as in elsewhere in the world, things are hotting up: Justin explains that they inhereted over 60 hectares of Riesling, “But we didn’t have summers with 35 and 40 degrees in the 1980s,” so the future for Riesling here is in doubt. Vinarte’s wines are in the UK through Direct Wines (Laithwaites), though their main export markets are the USA, Germany, Belgium, South Korea, Japan and Russia. Wines are sold in the UK mainly under the brand name ‘Domaine Danubiane’. My journey across Romania ended close to the western Border with Serbia and Hungary, and another winery with very strong UK connections. Englishman Philip Cox and his Romanian wife, along with other partners, established Recas in 2000. Philip (right) came to Romania in 1992, to work in the beer industry as distributor for Heineken. “But the problem was there was no hard currency,” he tells me “so being paid for the beer I was importing was difficult. I decided to look for a Romanian industry with something to export, so that I could barter the goods for the Heineken I was importing!” Philip settled on wine as a target, and his investigations led him to the Carl Reh winery, an offshoot of Reh Kendermann of East Germany. Philp returned to England briefly to take his WSET exams, then started working with Carl Reh, eventually becoming Managing Director. In 2000 he and his partners bought the large, 700-hectare Recas estate. There were 600 hectares in production, and the other 100 have recently been planted with Pinot Noir, Pinot Gris and Feteasca Neagra. “All the ex-state companies where basically bankrupt,” he told me, “and the government didn’t know what to do with the farms.” So Philip took over running the farm at Recas at first as a tenant, and eventually earned the right to buy it. Recas Pinot Gris and Rosé are in Wine Rack in the UK, and his wines distributed by Alliance Wines in Scotland. “I’m very excited about the UK market,” says Philip, “There seems to be an openness amongst the buyers that hasn’t been there for a decade. 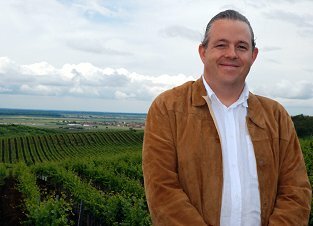 There was a mini boom in the early 1990s for Romania, but then expanding production caused quality to fall and the reputation of Romanian wine was damaged.” Recas’ winemaker is an interesting choice: Hartley Smithers, from Sydney, who is also senior winemaker at Cassela in Griffith, Australia, producers of the Yellow Tail brand. The 6.5 million bottles at Recas are small fry in relation to that operation, though Philip says they are en route to 10 million bottles per annum. The wines here are of very good quality, and with its thriving visitor and conference facilities and the proximity to the boom town of Timisoara, Recas could be regarded as something of a role-model for Romanian wine.